The house in Montaulieu has beautiful views from the roof top terrace and a shaded terrace in the small garden in front of the house, which was very nice during the heat. The interior has a nice modern touch with a spacious kitchen and living room and a ensuite bedroom upstairs. Another bedroom is in the basement and has a separate entrance. We were very well taken care of from the friendly owner who lives next door. He arranged a man to repair the wifi that didn't function very well first but after repairing it was perfect. Close to all kinds of little villages, Nyons and the Eygues river for a refreshing swim it was the perfect place for us to stay. We had a relaxing week and really look forward coming back one day. Si vous aimez la nature et les vielles pierres rien de tel pour venir vous ressourcer dans ce gite rénové avec goût situé dans un magnifique village "promontoire". Vous ne trouverez que le chant des cigales pour occuper le silence des lieux. Le propriétaire très agréable vous donnera tous les bons conseils pour profiter de cette très belle région. Perfekter Ort für Ruhe und Entspannung. un charmant village en pierre: Montaulieu. avec en sus une superbe vue. Ce n'est pas sur le " balcon d'Angèle "
que même au début de printemps l'on gèle. vous remettront corps et âme en joie. s'occupe de vous comme de sa propre Mercedes. pour les randonneurs un coin de paradis. Endroit magnifique reposant et calme. Sehr schön und ruhig gelegen - ein paar Kleinigkeiten könnte man aber noch verbessern ! Sehr viel Geschirr, Gläser und Besteck. CD-Player fehlt, TV vorhanden, aber eigentlich nicht nötig bei der Fernsicht. Exklusives Waschbecken, aber unpraktisch ! 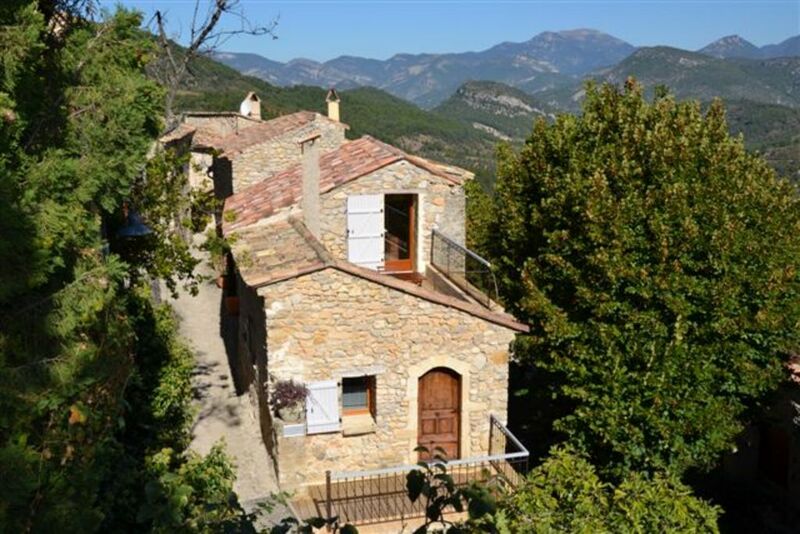 For those who love nature and tranquility, rest, meditation and a mild climate in a untamed environment: The house is located in the Massif des Baronnies, 15km away from Nyons in the heart of a small provencal village of the 12th century , at an altitude of 500 m high, will soften your mind. Leisure: for those who love hiking, mountain biking, and horseback riding. River swimming in beautiful basins, lake 25 km away. Tours: Nyons the olive capital, 30 minutes away from Vaison la Romaine, Buis-les-Baronnies, Mont Ventoux (1 hour).